Since their very first appearance in aviation, the primary function of ULD has been to provide adequate levels of restraint to cargo for aircraft, regardless of the severity of flight conditions. 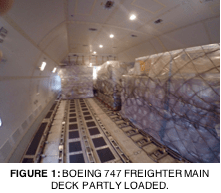 Certainly, ULD have been proven to deliver efficiency and expanded capability in many aspects of airline and air cargo operations, but those are of secondary importance: securing cargo in its assigned location for the entire flight, regardless of flight conditions, will always be the primary function of ULD. With this in mind, one cannot ignore the fact that the aviation industry has suffered two major accidents involving total loss of aircraft and crew, in 1997 and 2013 respectively, where failure to secure cargo according to required procedures was a significant contributing factor. 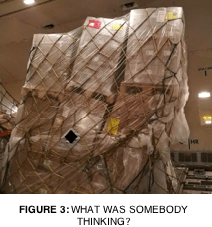 While these accidents triggered extensive investigations and subsequent actions were designed to prevent any such recurrence, there is plenty of evidence of continued widespread safety failings throughout the cargo loading process. The incorrect use of ULD is a major facet of these failings. Furthermore, not only do sub-standard ULD operations create flight safety risks, but they can also lead to slightly less critical but nevertheless significant events. 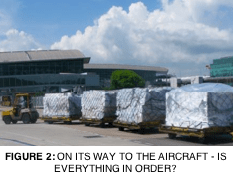 Examples include damage to aircraft hold liners and cargo loading systems, delays in aircraft loading and unloading due to difficulties interfacing with cargo loading systems, and issues with ground operations. Disturbingly, such events are all too often taken for granted. When a pallet cannot lock into the cargo loading system, the common response is “never mind, it’s just one lock,” if an out-of-contour container damages the cargo hold liner, it’s “oops”, and if a pallet with a shifted load arrives shipside, it’s “we can’t send it back now, it’ll miss the flight.” These, along with so many other unrecorded but problematic events take place around the world all day long, compromising safety and damaging aircraft. Aircraft and ULD indeed have a difficult working relationship! While this is going on, there is no evidence to suggest that ULD themselves are failing to meet required performance standards. Further, there is zero evidence of correctly loaded ULD in serviceable condition failing to perform flight safety functions, damaging hold liners, or failing to correctly engage in cargo loading systems. It can thus be seen that ULD are not the culprit, but rather, the way in which ULD are operated, often by workers lacking sufficient training, in inadequate operating environments, subject to poor management. Human factors thus play a primary role in creating the difficult relationship between aircraft and ULD. To be fair, there is an argument that absolves ‘grassroots’ ULD operators of some of the blame: in most circumstances, the people working with ULD build-up, storage and transport will likely never set foot inside the cargo hold of an aircraft. 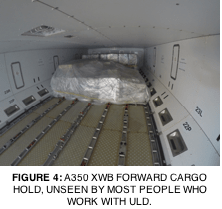 They may never see how ULD are positioned and locked inside an aircraft, or realise that the accumulated load of cargo contained in a shipset of loaded ULD can, on a freighter, reach over 100 tons. They may well not see past the narrow horizon of their specific task: stacking boxes on a pallet and throwing a dirty and damaged net over the load, or throwing some cargo into a scratched up aluminium box. These actions likely seem very far removed from ensuring flight safety. Is it therefore surprising that operators in this scenario fail to connect their function with flight safety? Yet, almost twenty years on, these deficiencies have yet to be comprehensively addressed or resolved. The global uptake of formal training in ULD operations remains at extremely low levels, and flight safety awareness amongst operators who work around ULD remains distressingly underdeveloped. How can it be that, at every hour of every day, modern, highly-sophisticated aircraft are taking off to travel across many continents, flown by highly-trained crew, maintained by highly-trained mechanics, and guided by highly-trained air traffic controllers, yet are being loaded with cargo by operators who lack formal training and have a poor understanding of the safety-critical nature of the ULD that they are working with? Does it make sense to load US100 million dollar aircraft using $10 an hour labour? Read more! Click here to buy the book ULD Explained.